Known for speaking her heart out, we have seen Swara Bhaskar always stand against social evils such as Patriarchy which comes in the way of women's growth and development in the society. 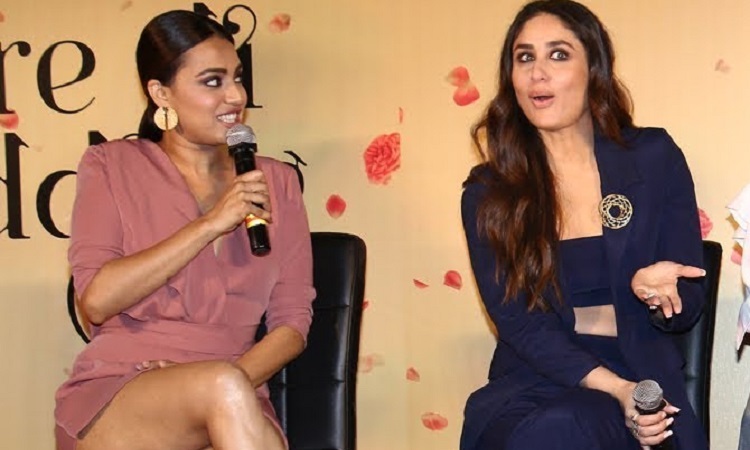 The feisty actress was seen in a tete-a-tete with her Veere Di Wedding movie co-star and dear friend Kareena Kapoor on Ishq 104.8 FM's show 'What Women Want with Kareena Kapoor Khan'. On the show, she revealed how difficult it is to be an opinionated woman in the society and how tough it is to call out patriarchy in your own home. She also raised a question, whether Bollywood films encourage patriarchy among others as well. When asked Swara about 'how tough it is to call out patriarchy in your own home', she said, "It's very tough. The most difficult thing is to question yourself and people around you, especially whom you love the most including your parents, brother and boyfriend. When it comes to patriarchy it should be viewed as a conversation among sensible people. Also, I feel bad for boys sometimes because the problem lies with the parenting method which doesn't let them equip with strong and opinionated women. They have also silently absorbed that patriarchal attitude and don't know how to deal with this. I have experienced this myself that my boyfriend Himanshu wouldn't discuss his work with me despite being in the same industry which I pointed out to him. He told me this is because of that what he has imbibed from his father as he never seen his father discussing the work with his mother back at home." I'm very gender neutral: Meghna Gulzar WHAT? Addressing Janhvi as Sara was a PLANTED Stunt?